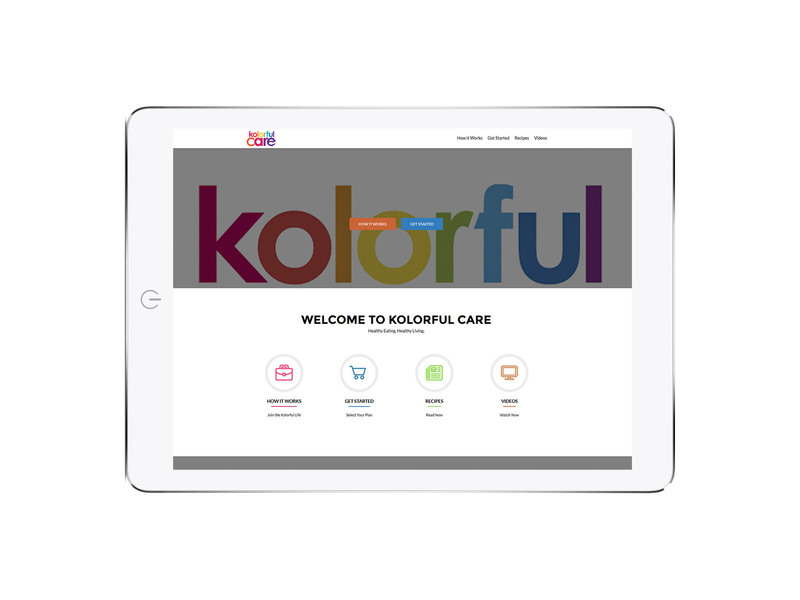 Brand identity and website for privately owned nutrition counseling service: Two insightful entrepreneurs presented Kidd Group and 3WStudios with a brilliant business plan for a web-based nutrition-counseling site. As a Registered Dietician & Nutritionist, Krizia had a deep and medically backed conviction that many diseases can be reversed and prevented by consuming the proper nutrients available in “kolorful” eating — fruits and vegetables. 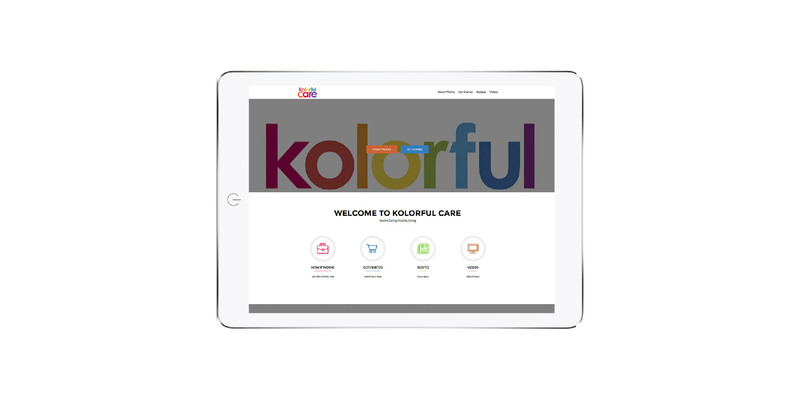 Kolorful Care’s brand identity integrated their core vision in its palette and typography, and through a compelling website design. The site was created in a content management system that was fairly easy to train them on, and they continue today with subscription HIPAA compliant video counseling, recipe sharing and a full range of nutritious, healing service offerings.